Reds linked with stunning double swoop on Serie A giants. Liverpool have been linked with a stunning move to bring manager Rafael Benitez back to the club from Serie A side Napoli, with the Spanish tactician then bringing his star striker Gonzalo Higuain with him from Italy. According to Spanish sourcd Fichajes.net, Benitez is open to returning to his old club as his future with Napoli looks in serious doubt, while Higuain is a long-term target for the Reds. Liverpool have had a difficult season this year, putting Brendan Rodgers’ position as manager under some scrutiny, while the departure of Luis Suarez to Barcelona in the summer and a number of injuries to Daniel Sturridge have left the team short of quality upfront. Higuain would no doubt be a useful signing for the Merseyside giants, and it would certainly be a popular move if Liverpool could re-appoint Benitez whilst also bringing in the world class goal-poacher. 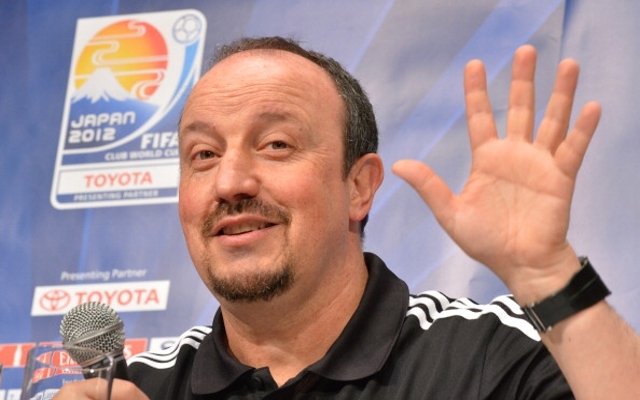 Benitez, who has also had a spell in charge at Chelsea, led Liverpool to the Champions League during his first spell at Anfield.